Avid Technology Inc., company specializing in video and audio production technology, announced the release of Media Composer | Software 8.0, is the industry's most proven and trusted video editing software for film, TV, and news production. 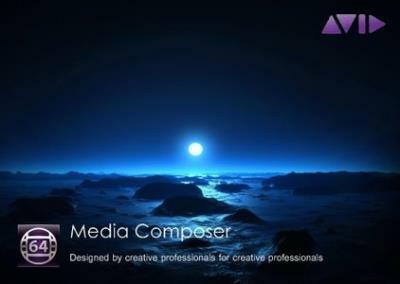 Media Composer is the most proven video editing software in the industry, trusted by professional editors in every segment of film, television, and broadcast. Designed to handle high volumes of disparate file-based media, Media Composer delivers accelerated high-res-to-HD workflows, real-time collaboration, and powerful media management, eliminating time-consuming tasks so you can focus on telling a great story. Avid creates the digital audio and video technology used to make the most listened to, most watched and most loved media in the world from the most prestigious and award-winning feature films, music recordings, and television shows, to live concert tours and news broadcasts. Some of Avids most influential and pioneering solutions include Media Composer, Pro Tools, Interplay, ISIS, VENUE, Sibelius and System 5.